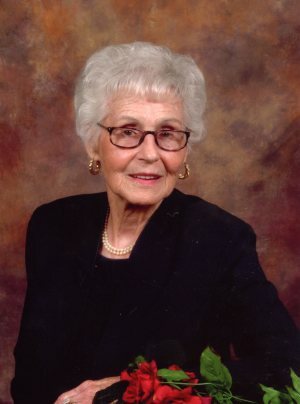 Mrs. Cordy Madison, age 96 of Fayette, passed away Saturday, February 2, 2019 at Fayette Long Term Care. Funeral services will be held Tuesday, February 5, 2019 at 11-A.M. from New Liberty Free Will Baptist Church. Burial will follow in the adjoining cemetery. The body will lie in state Tuesday from 10-11 A.M. at the church. The family will receive friends Monday evening from 6-8 P.M. from Nelson Funeral Home. She was preceded in death by her husband of 63 years, John Junior Madison, infant son, parents, James K. Polk Lowery and Donzie Elizabeth Moore Lowery, brothers, Thomas, Tillmon, and Travis Lowery, sisters, Cora L. Aldridge, and Cassie L. Perkins. She is survived by two sons: John Kiplen Madison (Gloria), Nicholas Reagan Madison (Marilyn) , grandson: John Matthew Madison (Julie), granddaughters: Kelli Elizabeth Madison Olive (Ralph), and Kerin Elaine Madison Brock (Matthew), great-grandchildren: Kathrine Leigh Madison, Emma Frances Madison, Katie Elizabeth "Liz" Olive, Ethan Walter Olive, Matthew Lukas Brock, John Nickolas Brock, Owen Corben Olive, and Savanna Elizabeth Brock, and a host of nieces and nephews. Honorary pallbearers are New Liberty Church family, Sherry Trimm, and the nursing staff at Fayette Long Term Care. Active pallbearers will be: Ray Selman, Daniel Smith, Phillip Madison, Rex Burkett, Ralph Olive, Matthew Brock, Lukas Brock and Ethan Olive.